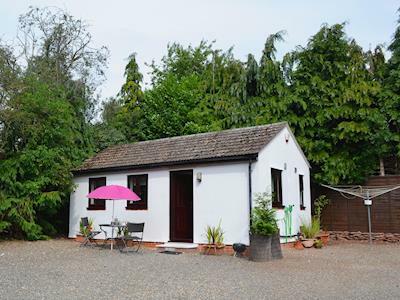 This cosy, detached, studio bungalow, more suited for a couple, stands in the grounds of a large house. 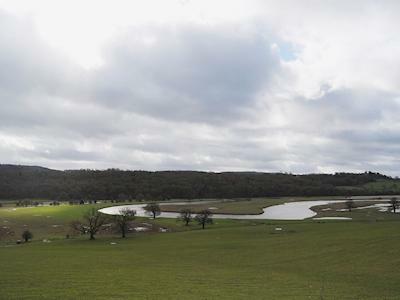 It is a perfect location for exploring some of England’s most beautiful countryside. There are local walks, cycle trails, horse riding, golf and fishing close by and the famous Clee, Caradoc and Long Mynd Hills, known as Little Switzerland, are within easy reach. 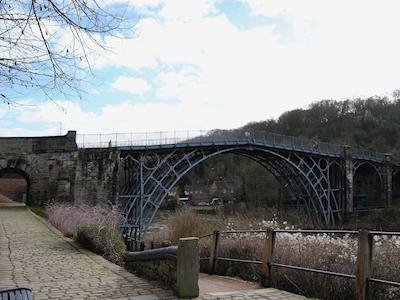 Enjoy famous Bridgnorth, Shrewsbury and Ludlow with medieval castles, excellent shops, pubs/restaurants and riverside walks. 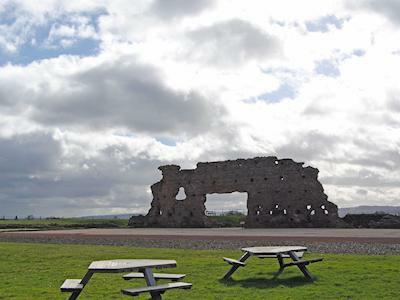 Discover The Severn Valley Railway, Bewdley Safari Park, Ironbridge Gorge Museums, Wroxeter Roman city and much more. Shop, pub and restaurant 0.25 miles. 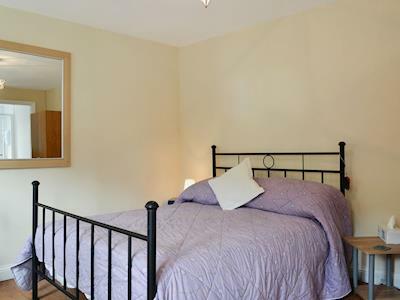 All on ground floor: Living/dining/bedroom area with double bed. Kitchen. 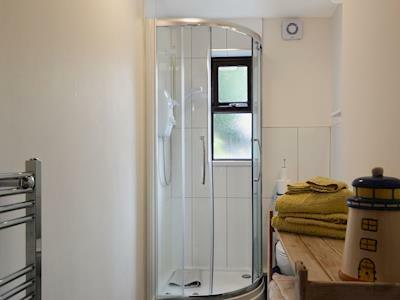 Shower room with toilet. 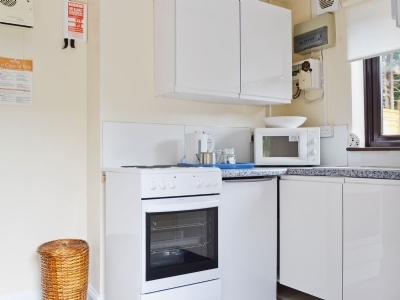 Electricity CH, elec, bed linen and towels included. DVD and small library. Electric Cooker. Microwave. Shared enclosed garden and furniture. BBQ. Parking (2 cars). No smoking. Ticknock Mountain Bike Trails in the Dublin Mountains offer a series of single track roads and paths designed especially for mountain bikers. Explore beautiful scenery while enjoying the challenging trail designed to challenge and work experienced riders. The trail starts and ends at a car park and at 8kM in length takes approximately 45 to 90 minutes to complete. Ledene Golf Centre is an 18 hole, par 3, public parkland golf course that was established in 2000. It is located in the lovely Staffordshire countryside and is not far from Wolverhampton making it very convenient to play. The course offers many challenges and hazards especially the pool, it is fairly flat so not too difficult to walk around. The course is well maintained and the greens and fairways are in good condition. In addition to the 18 hole course there is a 10-Bay driving range that is floodlit and heated for year round play and a practise green with bunker. The Cafe Ledene has a lovely warm and welcoming atmosphere and the food is fantastic, very tasty and beautifully presented, as well as offering great value for money. Staff are very friendly throughout the club, both professional and helpful. The green fees are excellent value for money and a warm welcome is extended to everyone. If you are a novice, looking to improve your game or an experienced golfer head to Ledene Golf Centre where you are assured a great game of golf. 3 Hammers Golf Complex is an 18 hole public parkland golf course and is situated in a choice location and can be readily accessed from all parts of the United Kingdom. You will find all the staff that you meet here to be welcoming, friendly and professional. The course is short but excellent, the greens are fast and the fairways are well maintained. All level of player will be challenged here, the bunkers are tricky and there are a number of interesting holes as well as water hazards. In addition there is a driving range which is first class, it offers the perfect place to practise your swing and driving. The pro shop is well stocked with a nice range of goods for sale. There is a lovely bar and bistro that serves a great selection of hot and cold meals and beverages, the food is tasty and service is excellent, overall great value for money. The green fees are very reasonable and well worth the money. 3 Hammers Golf Complex is a lovely warm and welcoming club to all and offers great golf, amenities and green fees, it should not be overlooked. Wolf Mountain Indoor Climbing and Cave Centre is a premier indoor climbing centre located close to the city centre in Wolverhampton. The centre has excellent facilities, full equipment and the staff are friendly, professional and patient. Safety is paramount here and you are given a full safety briefing before you take part in any activity. They offer a choice of extreme activities that include climbing, indoor caving, abseiling, archery, mountain biking, kayaking and canoeing. If you are prefer to spectate or require a rest after an activity there is a nice cafe where you can relax with a beverage and a snack. There are also a number of viewing areas where you can observe the events taking place. They cater to all abilities from novices to experienced climbers and run classes to accommodate everyone. Wolf Mountain Indoor Climbing and Cave Centre is open every day and the prices are very reasonable and offer great value for money. If you are looking for a challenge or a new experience then get yourself to the Wolf Mountain Indoor Climbing and Cave Centre you are assured a fun and energetic activity in a safe and friendly environment, you will not be disappointed. West Park is a Victorian municipal park that encompasses around 43 acres and includes a lake and beautifully landscaped green spaces. It is ideally located close to the city centre and is thought to be one of the finest, natural Victorian parks remaining in England. It original purpose was to serve as an area for certain sporting activities namely, bowls, archery and cricket. Today it still serves the community and has tennis courts and a bowling green other features include, a boating lake, children's play area, heated Victorian conservatory that is open from 10am to 4pm most days except Tuesday and Wednesdays. The chalet tearooms are cosy and inviting and serve a nice selection of beverages and light snacks, that are reasonably priced. There are loads of areas to enjoy a picnic and admire the stunning plants, flowers, shrubs and trees as well as the peace and tranquillity the park offers. The park is very popular and enjoyed by joggers, walkers and families who love the attractions and the wide open spaces where children can run about. West Park is beautifully maintained and a great park for the whole family, it makes for an enjoyable day out for all especially on a nice day. Grand Theatre has had a presence in Wolverhampton since 1894, and the exterior facade remains pretty much as it was when it first opened. The theatre serves as an entertainment venue for the town and the Midlands region. It hosts a diverse programme of events that includes major touring productions comprising of drama, musicals, ballet, dance, opera, variety, concerts and pantomimes. The theatre has quite an intimate feel and consists of a three-tiered Victorian auditorium and a beautiful interior with many fine period features and stunning architecture, particularly the ceiling. The seating is very comfortable and most seats offer unrestricted views of the stage and the acoustics are excellent. The staff are extremely, friendly, helpful and professional throughout the theatre. There rare a few bar areas and you will find them to have a nice relaxed vibe, they are cosy and offer a nice place to meet for pre-show drinks, the bars are well stocked and reasonably priced. The Grand Theatre is a delightful venue that is warm and welcoming and with such a huge range of productions there is something to suit everyone and ticket prices are very reasonable so definitely worth coming to see a show here. Arena Theatre in the heart of Wolverhampton is an intimate and individual venue that serves as a cultural centre to the local and extended community. They host an interesting and broad variety of theatre, dance, music and comedy shows to cater to all tastes. It is a great theatre with facilities that include a friendly and vibrant bar area that offers the ideal place to meet for pre-show drinks as well as a coffee bar where you can get refreshments and light snacks. The shows they put on are first class and thoroughly enjoyable and offer great value for money. You will find the staff to be friendly and most helpful and enhance your overall experience here. The theatre seating is very comfortable and the offers great views regardless of where you sit, the acoustics are excellent and the overall experience is wonderful. Arena Theatre is a delightful venue and should not be missed if you get the opportunity to go, you will be delighted with the overall experience. Light House Media Centre is located in the historic Chubb Buildings, it is an independent cinema, complete with two screens, three galleries and a cafe bar, an ideal meeting place if you are in the town. The building has lots of interesting architectural features and has a friendly and welcoming ambience. It Is a cultural centre for the community and proudly hosts a diverse filled programme of events and shows, including opera, ballet, music, theatre screenings, big budget movies, independent productions, foreign films, archive films, contemporary films, indie films and much more. The galleries serve as an ideal backdrop for local and other contemporary artists to exhibit their work. There is a bar cafe that opens throughout the day and serves a good selection of beverages and light snacks and refreshments, with its glass-roofed courtyard you can seat outside regardless of the weather. They frequently hold fairs, and other events so best to check the website to see what is on. Light Media Centre offers so much to its visitors, definitely worth a visit, if you want a bite to eat, see some interesting art or take in a film, it is all here in this delightful venue. Vida Beauty Clinic offers a luxurious experience that will leave you feeling completely pampered. The business operates inside the Hawkesyard Hall in Armitage, enhancing the experience with handsome architecture. Book a session for body treatments, ear piercing, facials, makeup, hands and feet treatments, waxing, dermaroller treatment or schedule a pregnancy package for expectant mothers. Clara House & Spa in Clara, County Offaly is a great place to relax and treat yourself. Treatments include massages, facials, balneotherapy and peat therapy. 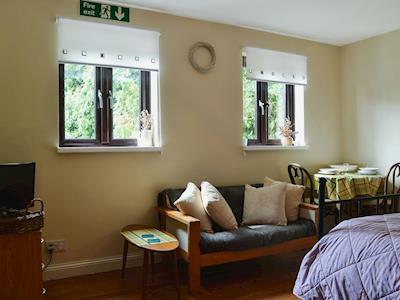 Take advantage of the on-site accommodation to enjoy a truly relaxing weekend break, 2 bedroom apartments for 4-5 people are available with both catered and self-catered options. Wightwick Manor Gardens is a stunningly beautiful house that celebrates the Arts and Crafts movement. In 1937 Geoffrey Mander MP convinced the National Trust to acquire a house that was just fifty years old at the time but, was already an artefact of a past era owing to the style in which his parents had decorated its interiors, influenced by William Morris and his Arts and Crafts colleagues. The house is very interesting and has lots of lovely furniture. Geoffrey and his wife continued to live in the house as its live-in curators and continued to enhance the collection of art in the house by adding a stunning compilation of Pre-Raphaelite paintings by Rossetti, Millais, Byrne-Jones and their followers. You can take a guided tour of the house, you will find the guides to be friendly, informative and animated about the house, family and its history making for an interesting and informative tour. The gardens are beautiful, they are delightful to walk around and so peaceful and also have picnic areas for your enjoyment. There is also a lovely tea shop that is warm and inviting, it is located in a converted stable block and has some nice features like old saddles and other items of memorabilia, it serves a delightful selection of refreshments, hot and cold meals and light snacks, all reasonably priced. The shop has an unusual selection of gifts and souvenirs to take home with you. Wightwick Manor and Gardens are open throughout the year, although on certain days the house might be closed so best to check the website first. In addition they run events throughout the year and again you can get these dates from the website. Wightwick Manor Gardens is a delightful house full of history and lots of interesting features the perfect place for a day out. Bantock House is situated in 43 acres of parkland and is enclosed by lovely formal gardens. The house has underwent considerable care and restoration to bring it back to its original glory and now it is a valuable part of the history of Wolverhampton. The house offers the opportunity to delve into the history of the town and its people during the Edwardian period, through exhibits. The former home of the Bantock family it is has a delightful interior and many fine features including, carved oak panelled rooms, decorative glass, tiles and period furnishings influenced by the Arts and Crafts movement. On display in the house are a diverse collection of items not least locally made enamels, japanned ware, papier mache, jewellery, toys, dolls and pre-Raphaelite paintings. To entertain the younger visitors there are a range of activities taking place all over the house and lots of exhibits that you can touch and even costumes to try on. The Dutch gardens, sunken garden and rose gardens are all beautiful and absolutely stunning when in full bloom and the scents that permeate the air are gorgeous. The courtyard cafe is cosy and inviting and serves a nice choice of beverages and homemade food, The museum shop is a nice place to stop before leaving to pick up a memento or gift, they have a good choice of cards, gifts and traditional children's toys. The staff are very friendly and informative and happy to impart their knowledge about the house and the towns history. Bantock House Museum is open throughout the year, there are different opening times for winter and summer and you can get details from the website. There is no charge for entry to Bantock House Museum although donations are welcome. Bantock House will appeal to all ages and makes for a fun and interesting family day out in beautiful surroundings. Moseley Old Hall is a 16th century farmhouse that has an integral role in history, it was the place that King Charles II hid after he escaped from Cromwell's troops during the Battle of Worcester in 1651. It is an intriguing house full of original furniture and features, and in many instances it looks like it is still being lived in and the house is further brought to life by the staff who are dressed in period clothes using original equipment and tools. During your visit you will get to see the bed where the King slept as well as seeing the priest hole where he hid. 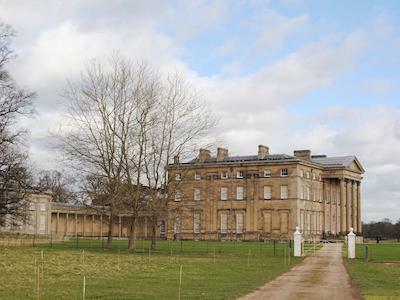 The tour guides will bring the history of the house to life and they regale interesting stories about what life was like in the 17th century, you will find the guides to be friendly, knowledgeable and passionate about the house. The gardens are stunning and have lots of lovely features including, a collection of 17th century plants, a fruit orchard and a stunning knot garden as well as the tree hide. There is a tea room that serves a lovely selection of refreshments and light lunches. Moseley Old Hall is open throughout the year and they also run a series of events, activities and demonstrations to cater to all the family, so check out the website for further details. Moseley Old Hall transports you back in time to another era, it is a lovely welcoming and homely house that is brimming with history and is most interesting to visit, highly recommended. Located at the heart of historic Lichfield, the Samuel Johnson Birthplace Museum and Bookshop is a fascinating place for history buffs and travellers. Johnson, who is most famous for his Dictionary of the English Language. He lived at the house on Market Square until he was 27 years old. Stop by and learn more by exploring reconstructed rooms, exhibits and audio-visual media.